Painted succulents are a new trendy house plant that you can find at stores like Walmart. But is it safe to spray paint succulents? What happens to those cute colorful plants over time? Unnaturally colored plants and flowers are nothing new but they are controversial in the horticultural world. 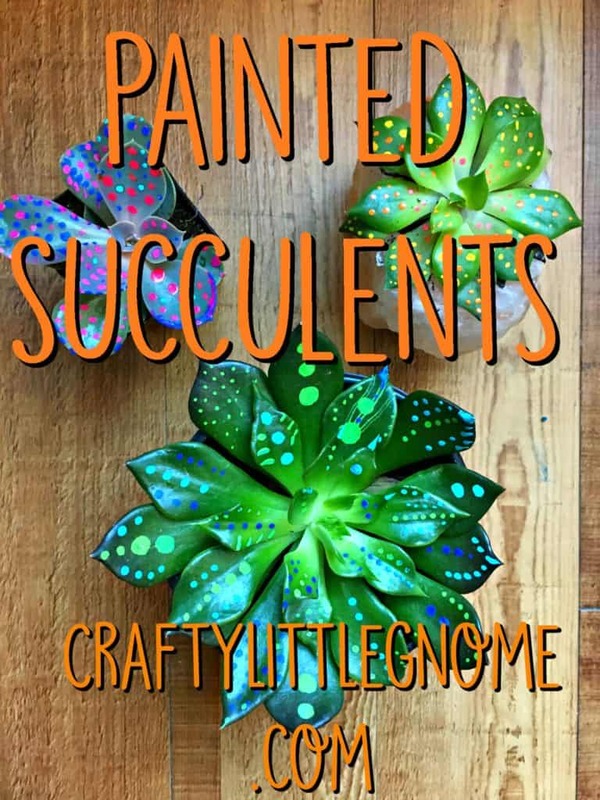 Love or hate painted succulents, they do make for a fun rainy day DIY. 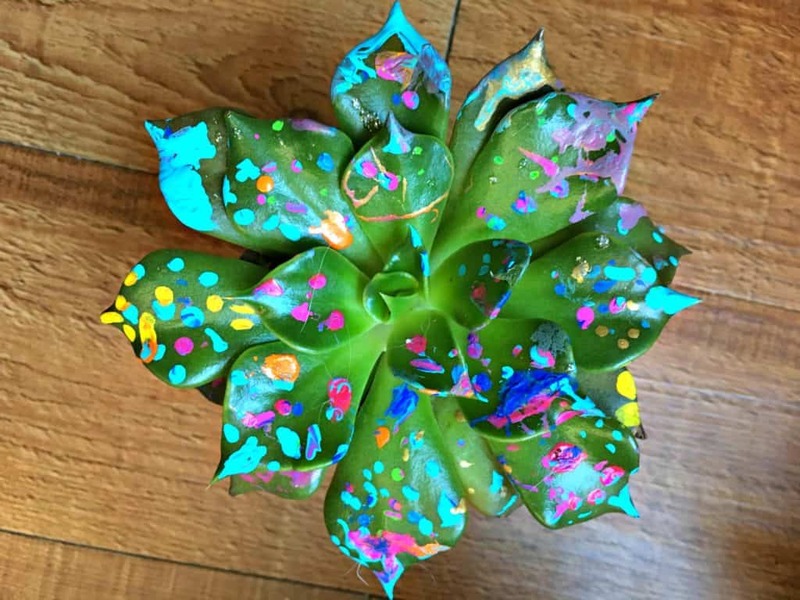 Check out this tutorial about how you and your kids can paint your own succulents. Is painting succulents bad for their health? 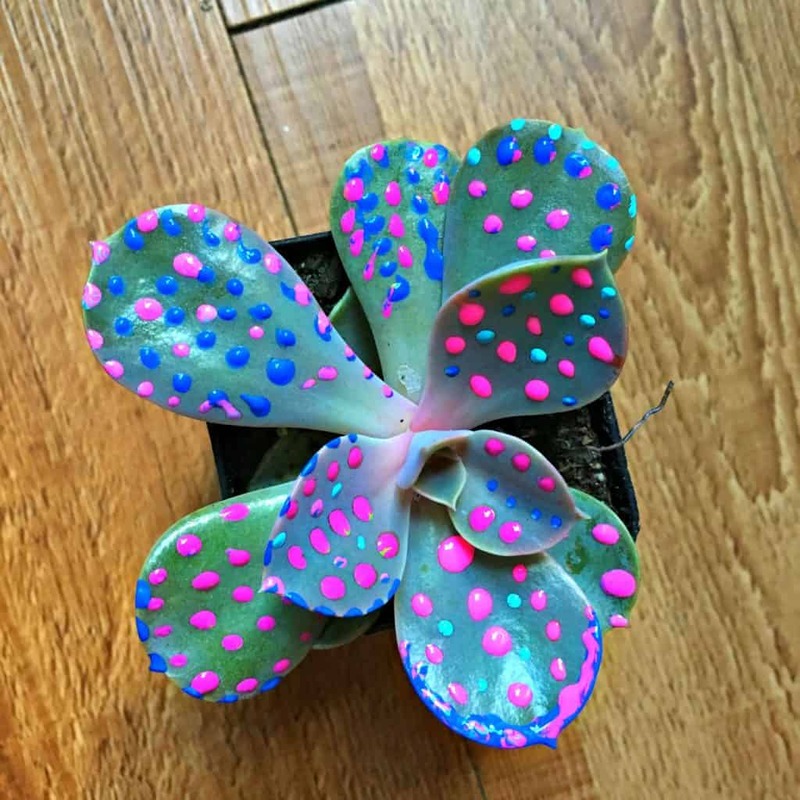 What type of paint is safe for succulent plants? I was strolling through Walmart the other day when I came across some cool looking succulents in the house plant section. They were neon-colored lime, orange and purple little plants. As I was checking them out, trying to figure out how nature could make such vibrant colors, I realized they were actually painted! Those little succulents were a little pricey considering they were just spray painted plants. I was however, intrigued by these crazy, colored plants. Unnaturally colored houseplants are nothing new. I’m sure you’ve seen those orchids at the grocery store that are a vibrant shade of blue. Obviously those colors do not occur in nature and they have been dyed. A common experiment in elementary school classes is to take a flower and split the stem up the center, then dip the separate parts of the stem into different jars of water filled with food coloring. The colored water travels up the stem and into the flower, making the petals bright rainbow colors. During the holiday season you can find poinsettias in all shades of the rainbow and covered in glitter. Some people think unnaturally colored plants and painted succulents are sacrilegious. I obviously do not. Remember folks, they are just plants. They don’t have feelings and it’s okay to have fun and experiment with art. I had some succulents at home I thought it would be fun to play around with paint and make my succulents a little crazier. Even if the plants die at least it’s an opportunity to teach kids about photosynthesis and how plants grow. 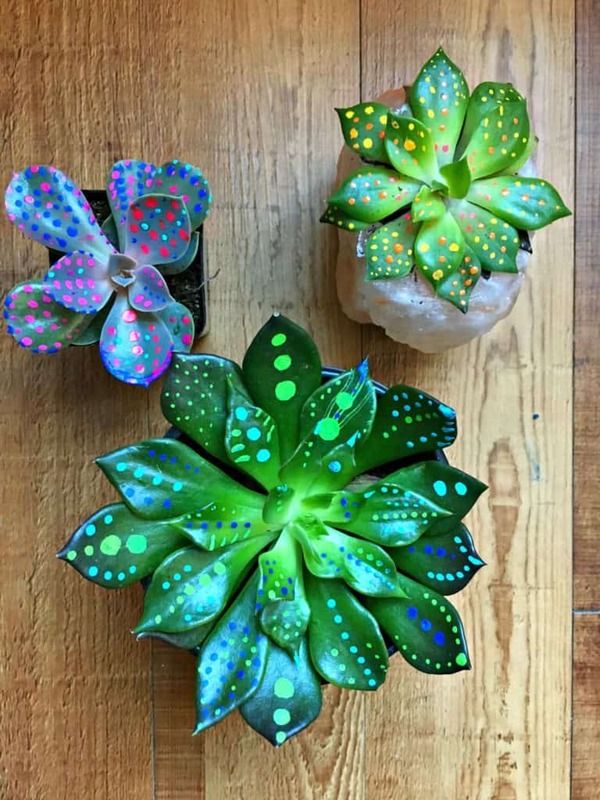 These plants are colored using a dye said to be food-safe and non-toxic by the company that painted them. Upon close inspection, it appears the plants are either sprayed or dipped into this paint. The color is on the surface of the plant only. It will probably wear off over time, and as the plant grows new growth will not show these unnatural hues. Succulents are drought-tolerant plants that store water in stems and leaves. Plants use leaves and stems to make food from sunlight (photosynthesize) and breathe (transpire). Completely coating the leaves with paint prevents this and will probably kill the plants or, at least, seriously injure them. Most spray-painted succulents hang on a few months, living off their reserves, then die. Succulents are slow growers. These painted succulents may show color for months or even years, if they survive that long. Succulents undergo photosynthesis a little differently from other plants, but they do still need it. It’s possible this dye has no effect, however it seems more likely that most people who painted succulents do it for the novelty factor, and wind up leaving it on a windowsill to be forgotten and slowly die. You may remember these succulents from my Himalayan Salt Planter post from a couple weeks back. I had some others sitting on a shelf in my dining room that I snagged, as well as some latex paint from my craft room and I started making tiny dots all over the leaves. 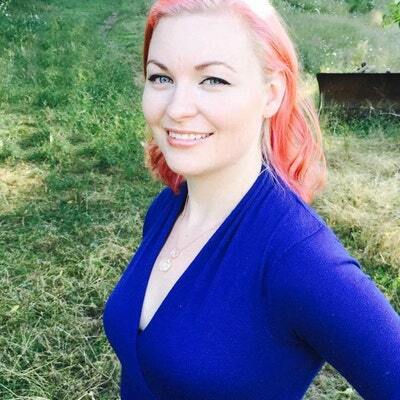 This project is pretty simple. 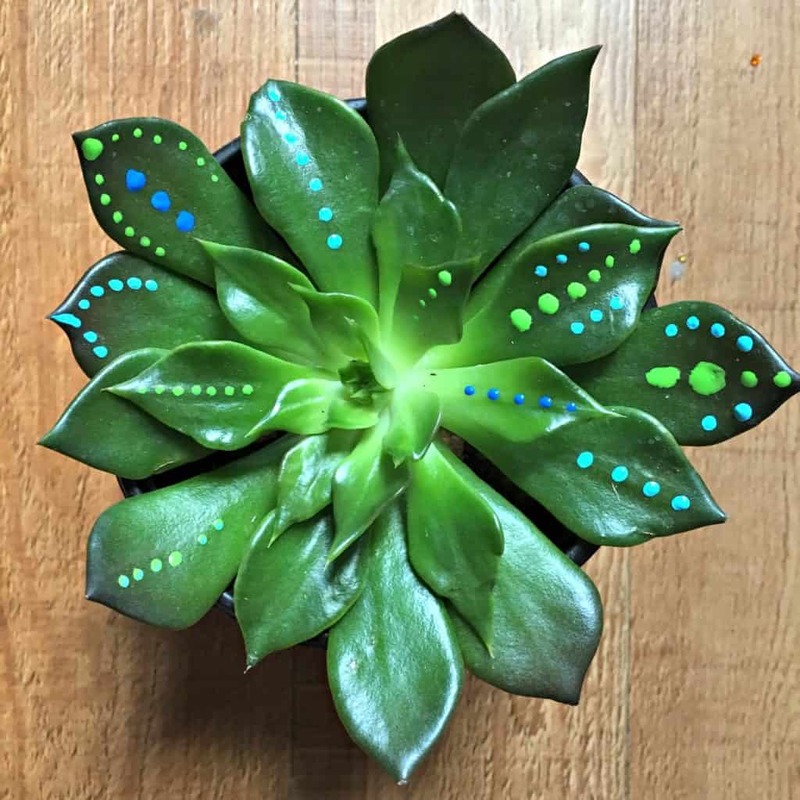 Just take a toothpick (or whatever you decide to paint it with), dip it into some paint and make dots all over your succulent. 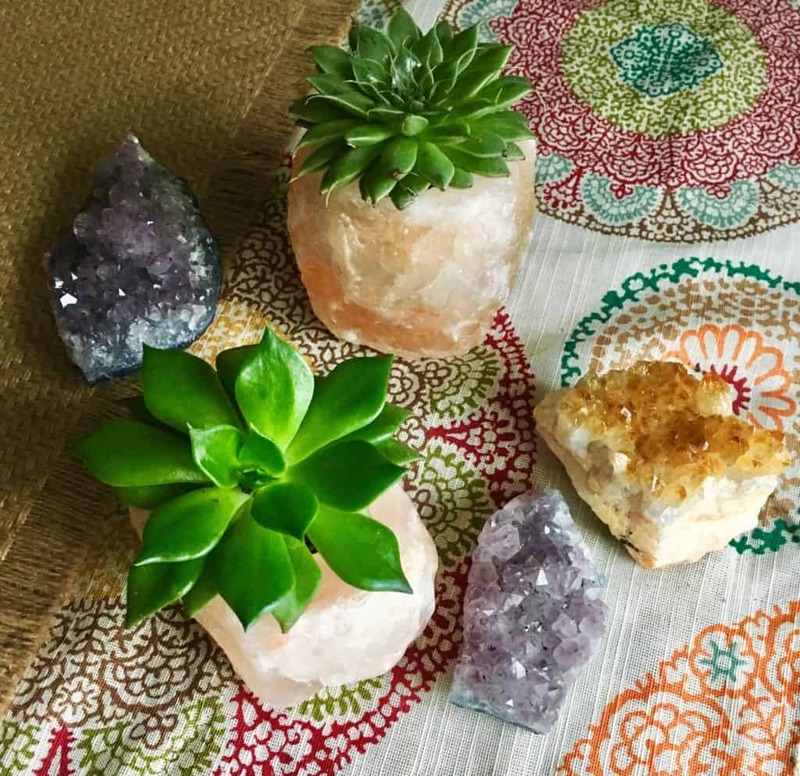 Once you are content with your painted succulent set it aside to dry. This is a great rainy day project for the whole family to get involved with. 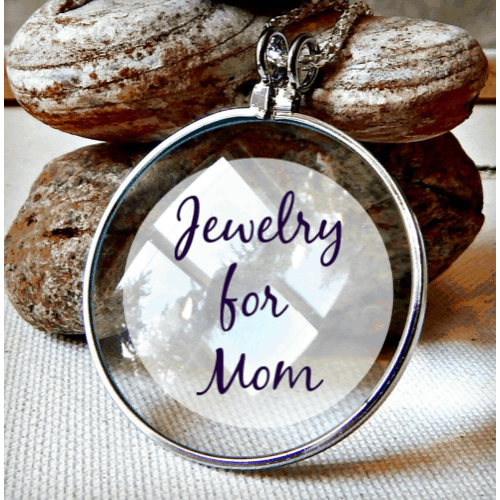 What’s you favorite rainy day craft? Let me know in the comments! Theyre still living things, they wont be healthy Plants with paint on them. They may look cute but it isnt good for them if you want them to stay alive. Yes, I guess we will see how they hold up!